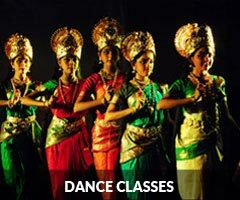 About | Shree Mookambika Cultural Academy Reg. The artistes of this Institution have performed in many places of both state and national level festivals and events. To name some of them are , Sri Kshetra Dharmasthala during Mahamasthakabhishekha and Lakshadeepothsava, Shravanabelagola during Mahamasthakabhisheka, Udupi Lakshadeepothsava and Paryaya utsav, Kukke Sri Subrahmanya Temple on different festivals, Kollur Sri Mookambika Temple, Jaganmohan Palace Mysore, Kannada Sahitya Sammelanas held at Bangalore, Mangalore, Shimoga, Moodabidre, Gangavathi and other palces like Coimbatore, Tirupathi, Dehra Dun, Payyannur, Gawhati of Assam, Mumbai, Puna etc. Every year the institute is performing in prestigious Alwas Nudisiri held in Moodabidri and it has the credit of participating during Alwas Nudisiri Virasat-2013 which was organized in National and International level. The institution had the honour of participating in International Yoga Conference held in Mangalore University. The troupe also toured Gulf countries of Abu Dabhi and Dubai where they have performed for Kannada Rajyotsava and been felicitated by the veteran entrepreneur Dr. B.R.Shetty. 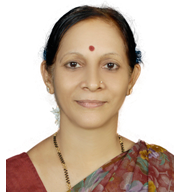 D.Bhavani Shankar is one of the trustees and the correspondant of SMCA. A retired employee of Corporation Bank, Mr.Bhavani shankar is the key person who administers all the financial and official matters of the Academy. 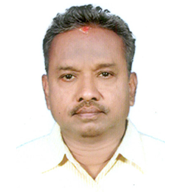 He is the person who is corresponds on behalf of Academy and incharge of maintaining the records. He is the father of Vidwan Deepak Kumar and Vidwan Girish Kumar. Being the proud mother of Deepak and Girish, Smt. Shashi Prabha is one of the Trustees and she looks after the costume deparment. 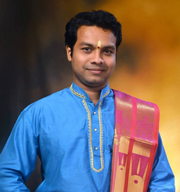 Being an experienced tailor, Shashi Prabha has designed and stitched a number of costumes of various patterns for classical, folk dances and dance ballets as well. She is not only a costume designer, but also plays a very important role in any of the events of the Academy and an active participator in day to day activities of the academy. 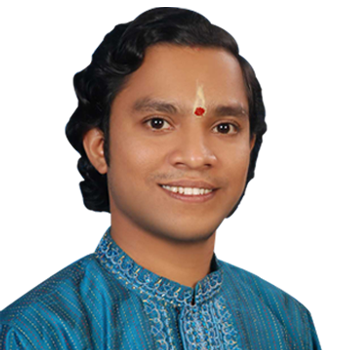 Sri Mookambika Cultural Academy, inspite of being based in a rural area like Puttur, has to its credit of hosting, conducting many festivals like Nadanta, Aryabhata Natyasandhya, Gadi Nada Utsav, Shadvidhamarghini, Narthanavarthana, Kalashraya Natyavali etc. The Academy is felicitating talented persons of the field related to classical art and giving them the ‘Kalashraya’ Award during every festival occasions. Every year the students of this institution appear for Junior, Senior and Vidwat Grade Examinations conducted by Karnataka Secondary Education Board and the result would be always with flying colours. The school has also the credit of its students receiving National level scholarships like CCRT and Ministry of Culture and state level scholarships of Karnataka Sangeeta Nritya Academy.